Listen up. I've discovered a secret alien conspiracy centered around our beloved pets. Both cats and dogs are being abducted by extraterrestrials. And get this - some of our cats and dogs might actually be aliens. 1. "The truth is out there Fluffy." 2. Few humans know this, but The Cat From Outer Space was actually a documentary. I only know this because my cats told me. 3. My cats do not like to speak of the other documentary, where we learned of an alien life form living among humans that snacked on felines. 4. It's a challenge to know what is factual when it comes to evidence of alien encounters. 6. This kitty uses a special transmitter to communicate with her alien overlords. 7. 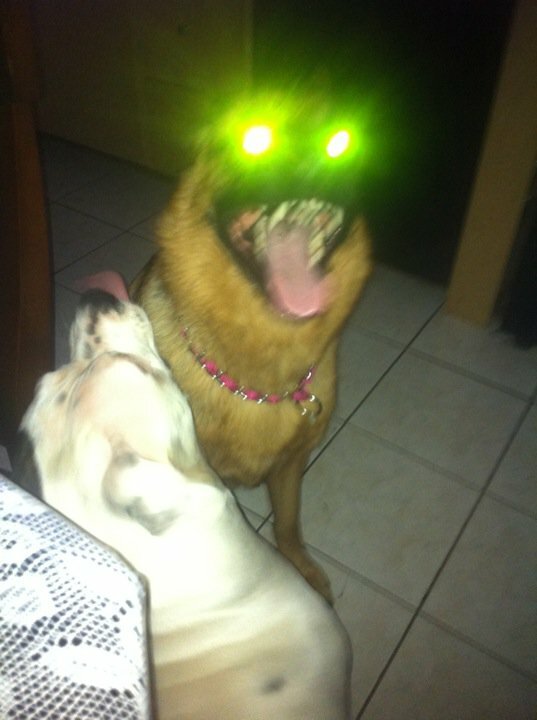 Dogs are easily influenced by the alien movies they watch, so it's hard to know when to them seriously. 8. I found this scientific diagram showing how the alien operates inside of a cat. 9. This cat is green and so are aliens. I invite you to draw your own conclusions. 11. In this photograph we see a pug's return to Earth from a spaceship because he was too dumb to do research on. 12. However, I did come across this compelling evidence showing that dogs might be related to a specific kind of alien. 13. My studies have also shown that most kitties have cool alien laser eyes. 14. And some kitties just have alien eyes. 15. Here we have what could only be a dog getting orders from his alien overlords through some kind of orb. 16. Do I even need to point out the alien receptor in this pup's eye? 17. Here we have a German Shepherd that has gone Full Alien.